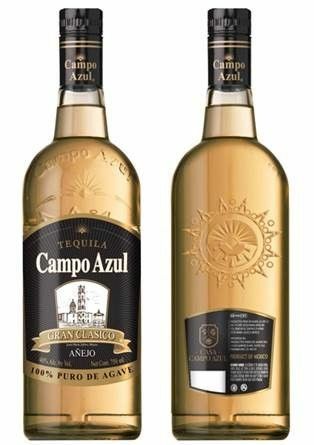 Campo Azul Gran Classico is one of the most successful and high quality tequilas produced in our distillery. Produced under a patient and careful method that showcases all the great characteristics of a tequila from the highlands of Jalisco. Produced in Jesús María, Jalisco (20 km southwest of the city of Arandas) at a height of 7,218 feet above sea level (2.300 meters), we take advantage of our location, as the only selection of agave from the highlands of Jalisco. 90% comes from the same municipality of Jesus Maria. A clay-rich soil and dry climate allow adequate plant growth. The water is extracted from our own natural wells, from which we obtain a liquid rich in minerals which adds unique properties to this tequila. Its complex character and softness are the result of a slow fermentation process with proprietary yeast that was developed by our family many years ago. The experience of our master distiller and particular filtration technique achieve a perfect balance and exceptional taste.